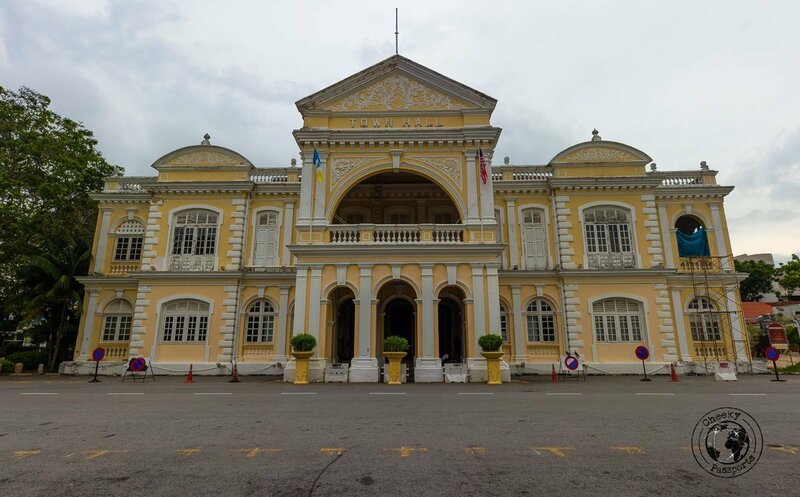 Penang is known for being the food capital of Malaysia, but there are several other things to do in Penang besides eating! 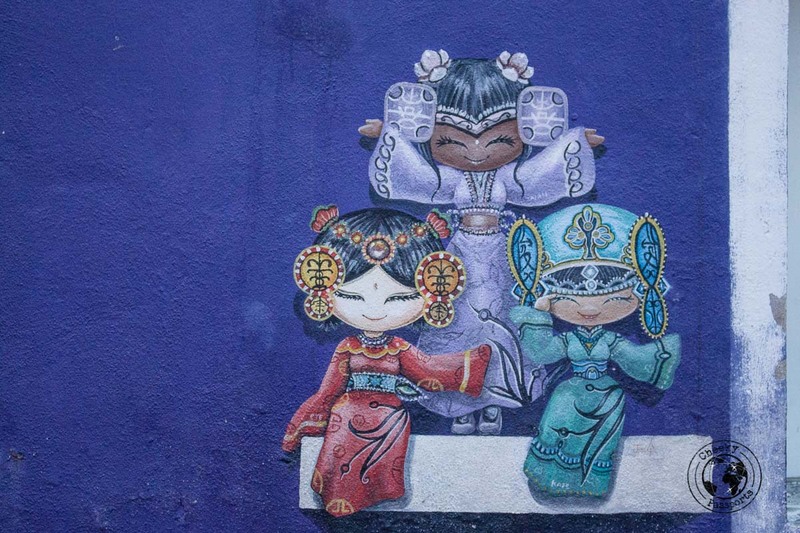 Although I was not keen on spending so much time in Penang, seeing that I had not particularly enjoyed the town when I had visited a few years before, I ended up falling in love with the quirky street art which has really given Georgetown a new lease on life. 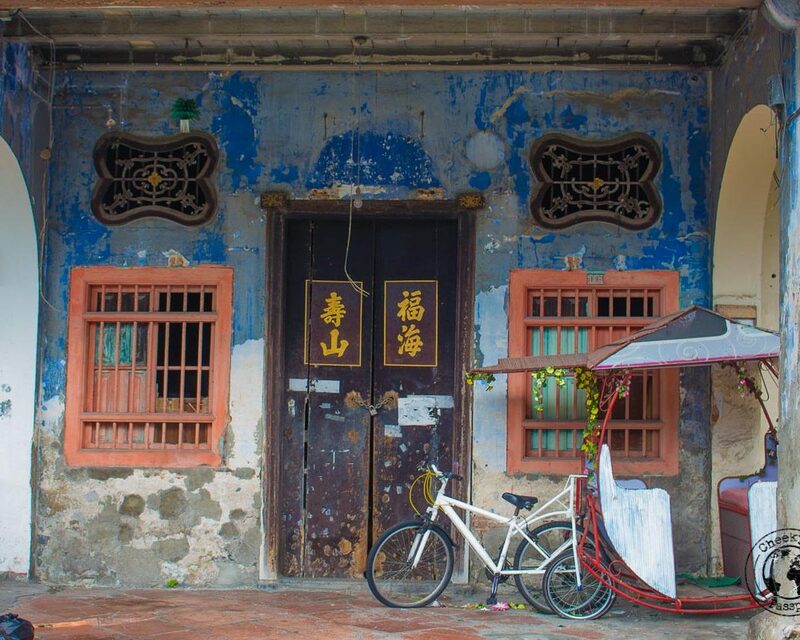 Here are ten things to do in Penang. 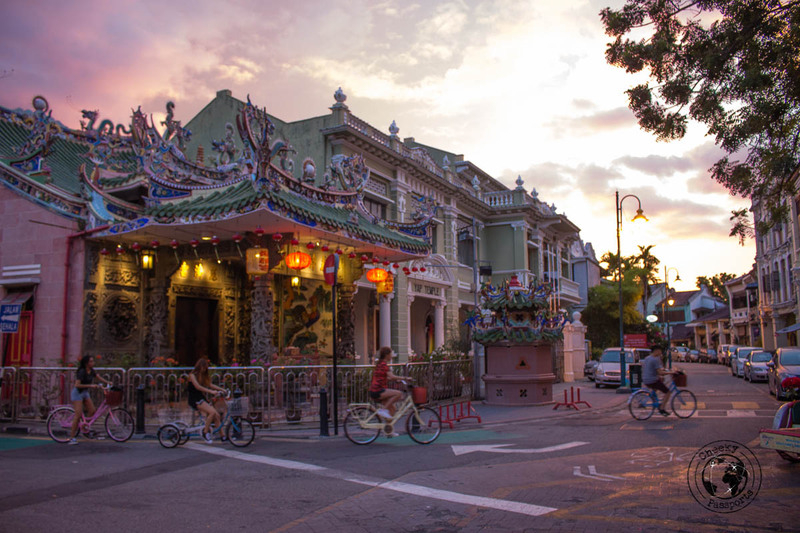 Penang is known as the food capital of Malaysia for good reason and food tasting should be at the top of your list of things to do in Penang! 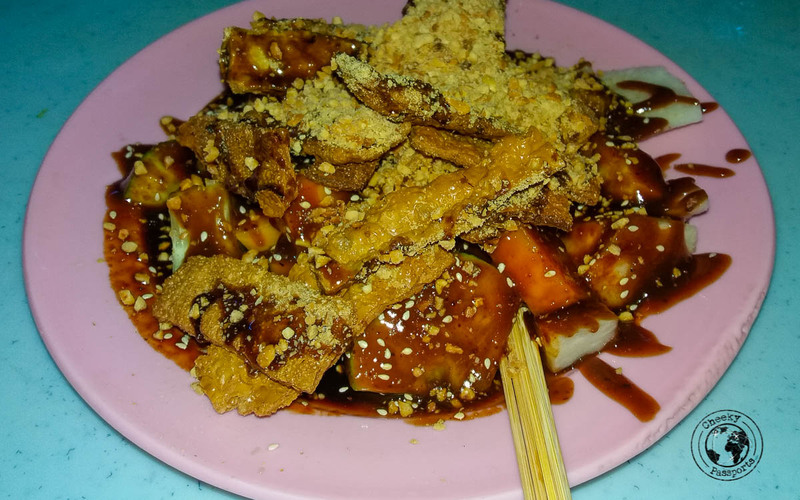 Hawker stalls and restaurants are plentiful and most of the food we tried during our ten-day stay was to die for! 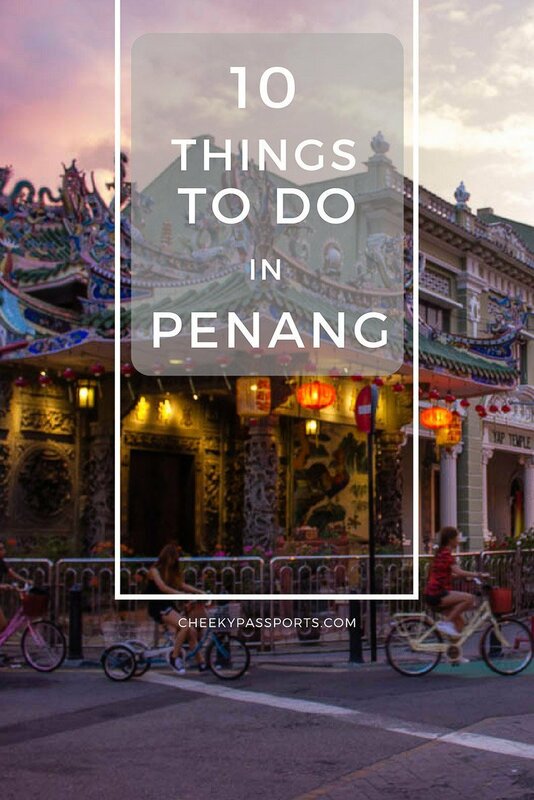 From dumplings at the Chinese quarter, samosas in Little India, our favourite laksa assam from street hawkers, to mutton briyanis and chicken tandoori in mamaks, discovering the multi-cultural food scene is one of the best things to do in Penang. 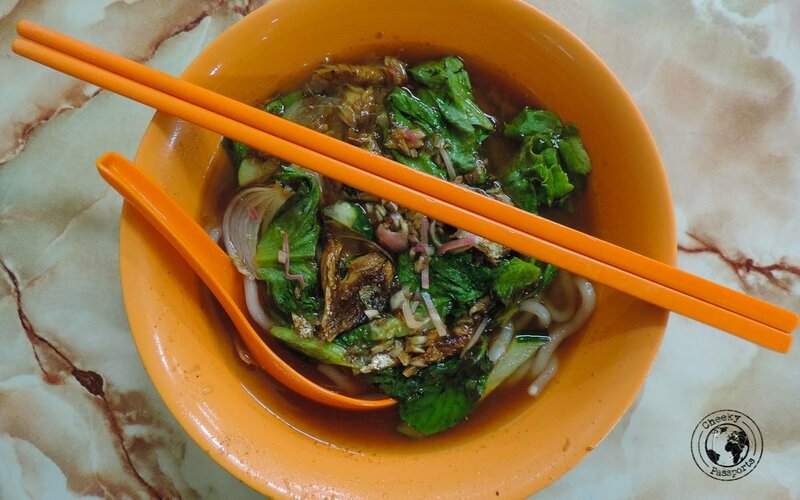 We firmly believe that along with Melaka, Penang is home to some of the best food in Malaysia! I actually inadvertently put on weight here but I don’t regret a single morsel! Check our restaurant recommendations in the “where to eat” section below, or check these food tours on Viator. 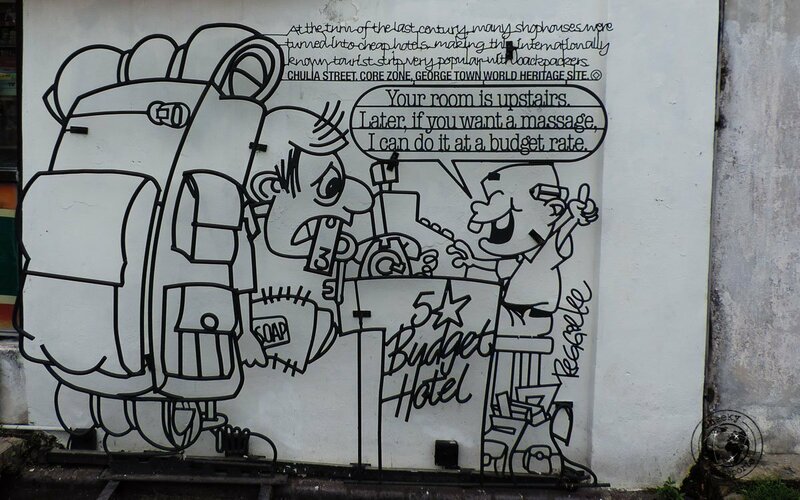 Second only to food, the street art in Georgetown is eclectic, humorous and educational! 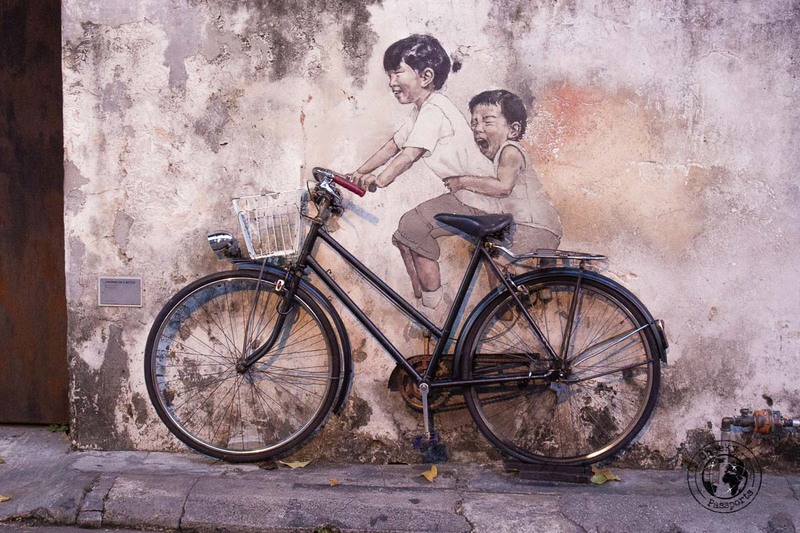 Take a look at our post dedicated solely to street art in Penang. 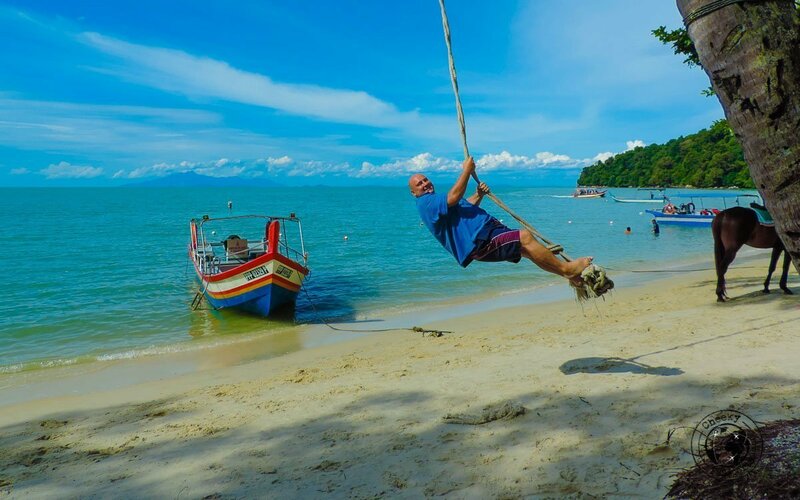 Penang is home to several beaches, and if you’re staying in Georgetown and looking for different things to do in Penang, one of the closest and most accessible beaches is Monkey Beach. Monkey beach is not super clean, nor is the water crystal-clear, but it is an easy journey from Georgetown if you’re craving beach! Getting there: Take public bus no. 101 from the Komtar bus station in Georgetown and alight at the last stop. You’re a 5-minute walk away from the National Park entrance. Once you are at the entrance you can either trek through a “jungle” area for 1-2 hours to get to beach, or take a boat. We opted for the latter which set us back 80RM (about €15.70) for the two of us, both ways. 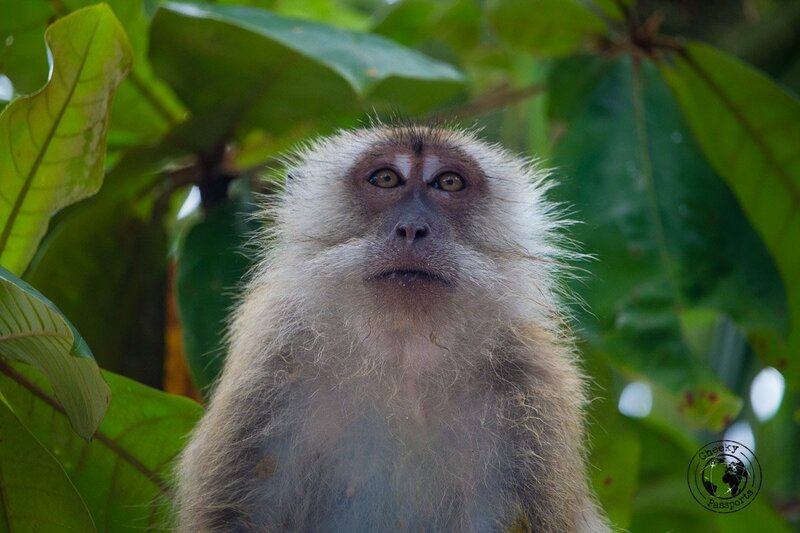 We always promote independent travel, but if you need a little help, check the tours to Monkey Beach on Viator. There are some great spectacular views of Penang from the top of the hill but unfortunately they were clouded over when we went. 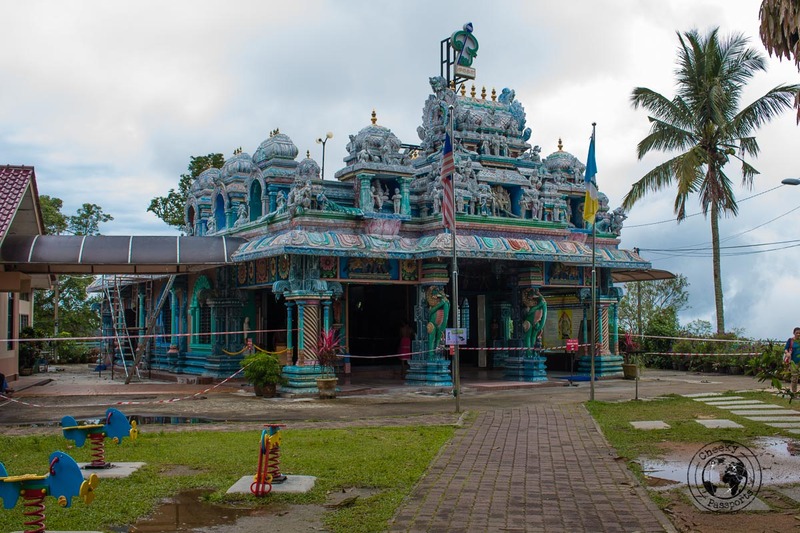 There’s also a mosque and Hindu temple and some stalls but if not for the views, we don’t recommend the trip. Getting there: Take the public bus no. 204 from Komtar bus station in Georgetown and alight at Penang Hill Railway station. 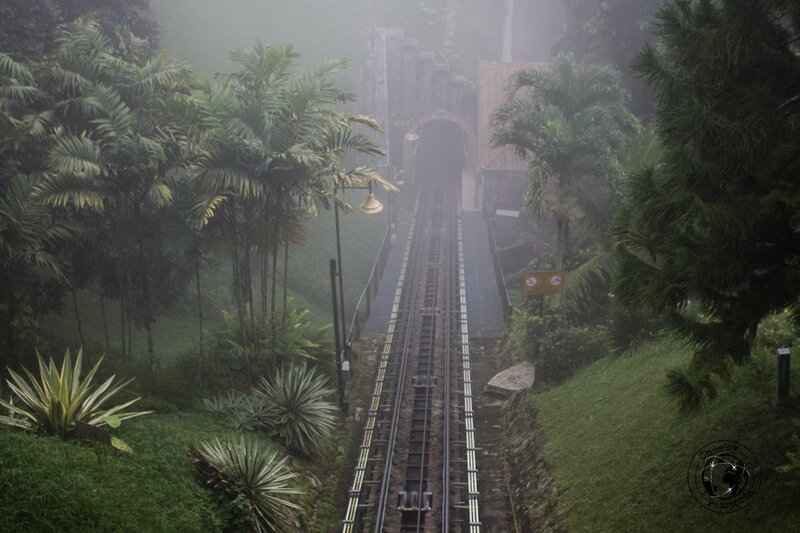 The cost of the cable train to the top is 30 RM each (almost € 6) both ways. There’s also a more expensive express ticket if you don’t feel like queueing up. 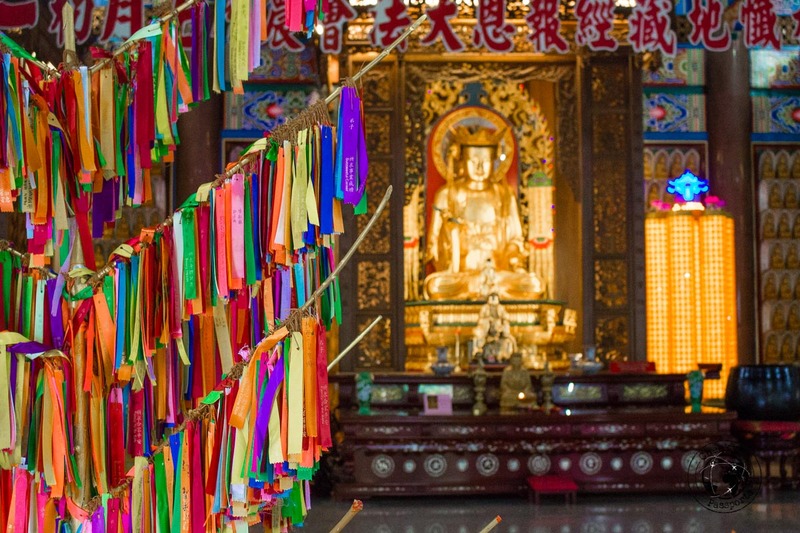 This magnificent Buddhist temple, located a 20-minute walk away from the bottom of Penang Hill, should be on any list of things to do in Penang. 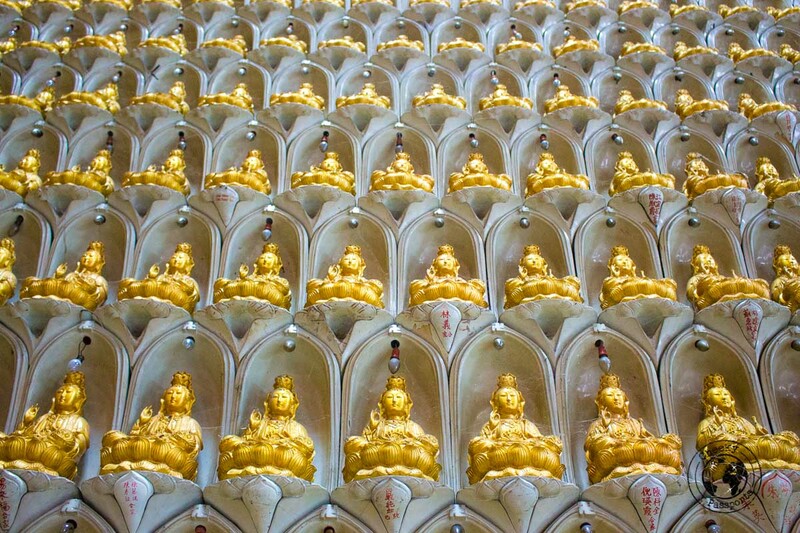 The temple is home to several large prayer halls and a seven-storey Pagoda of Rama VI (Pagoda of Ten Thousand Buddhas) with 10,000 alabaster and bronze statues of Buddha, lots of flowers and fish ponds. Also known as the Temple of Supreme Bliss, the complex contains a turtle pond known as The Liberation Pond. In Chinese tradition liberating a turtle is a symbol of spiritual liberation. Getting there: Take the public bus no. 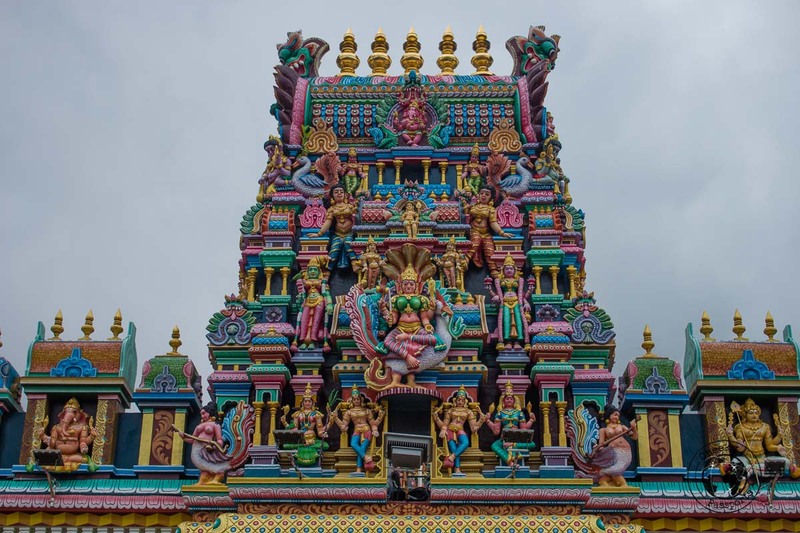 203 or 204 from Komtar bus station in Georgetown and descend at the Air Itam stop which is just a short walk away from the bottom of the temple. Bat Cave Temple is not a shrine dedicated to Christian Bale, but, as its name implies, actually contains a bat cave which is home to hundreds of bats, so don’t venture in if you’re scared of them! The bats sleep in the cave by day and fly out by night. 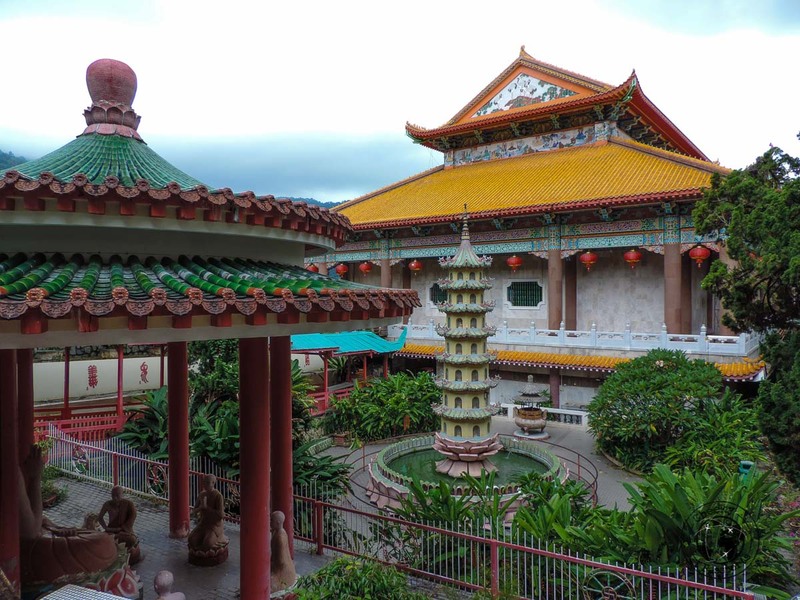 The Chinese temple was built to worship Tua Pek Kong, the god of prosperity. 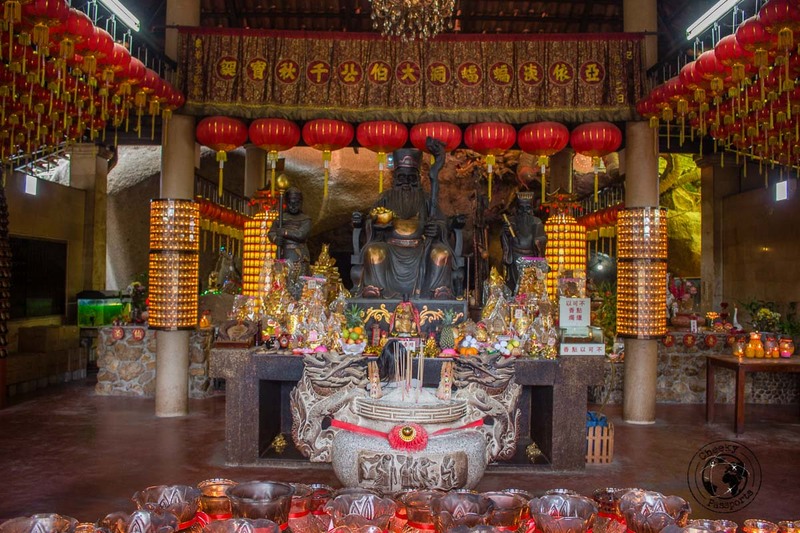 Put this temple on your list of things to do in Penang! Getting there: The temple is located a few minutes’ walk from the base of Penang Hill so the directions are the same as for Penang Hill. Georgetown is not just about food and street art. 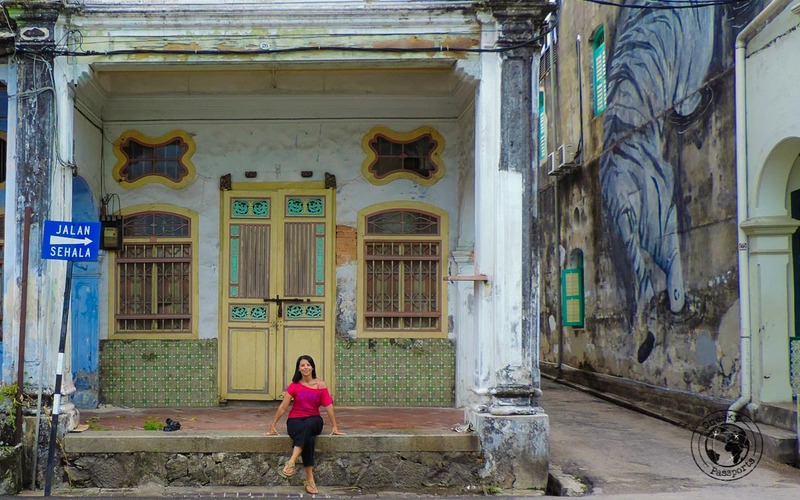 The charming streets showcase beautiful heritage architecture and colonial buildings, some of which have been beautifully restored. 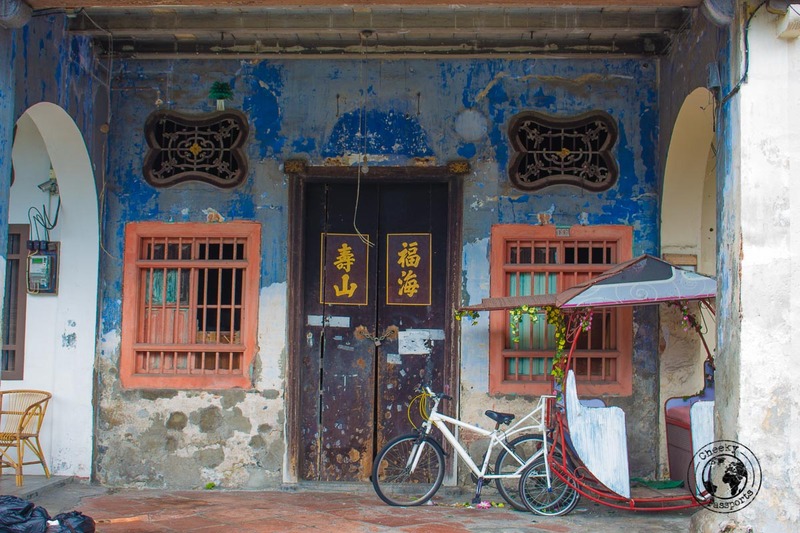 Be sure to include time for wandering around the streets among your things to do in Penang, so as to admire the Chinese shopfronts and vibrant colours! 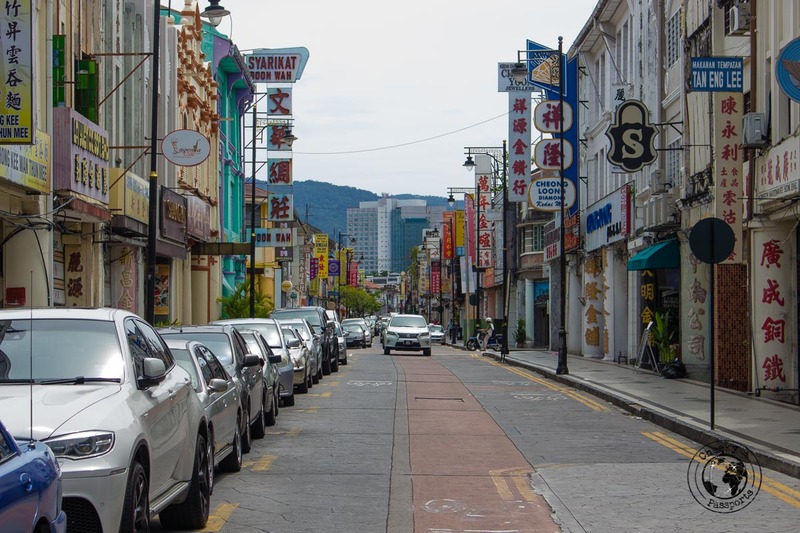 Love Lane is Georgetown’s backpacker street full of budget hotels and coffee shops. 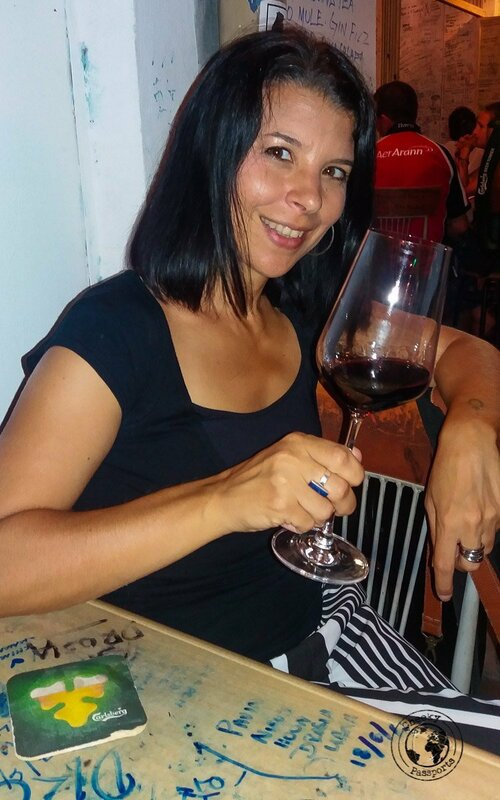 It is also the place where you can grab a beer or a glass of wine and listen to some live music at one of the bars and pubs lining the street if you’re looking for some nightlife! 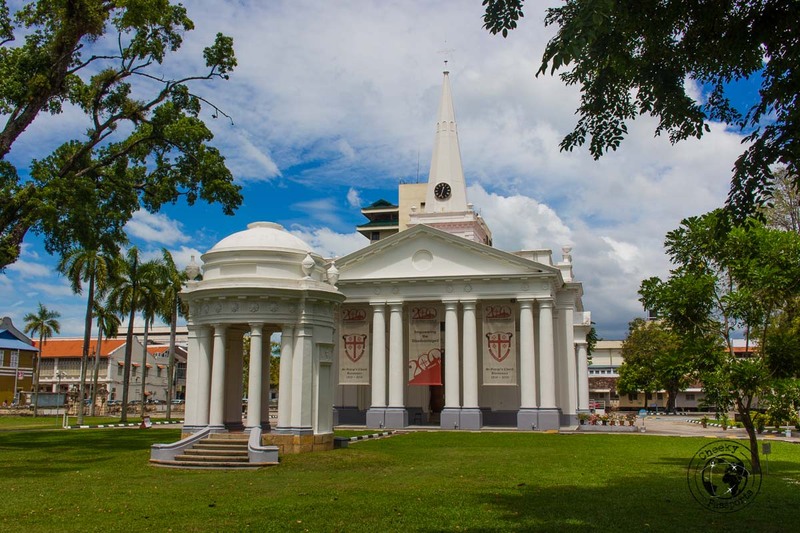 Multi-culturalism is strong in Penang where Muslim Mosques, Christian churches, Hindu and Chinese temples can all be found around Georgetown, sometimes just metres away from each other. 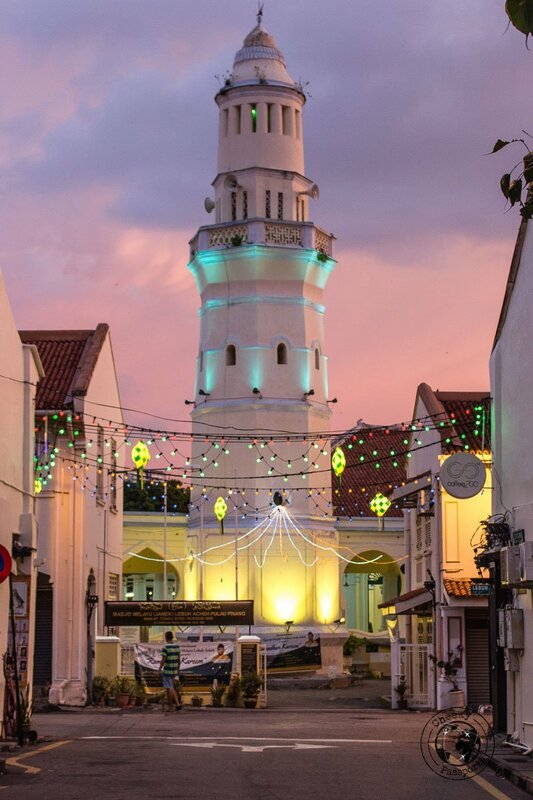 Jalan Masjid Kapitan Keling, was in fact dubbed ‘Street of Harmony’ because of the several places of worship for different faiths within the space of one kilometre. A melting pot of cultures if there ever was one! 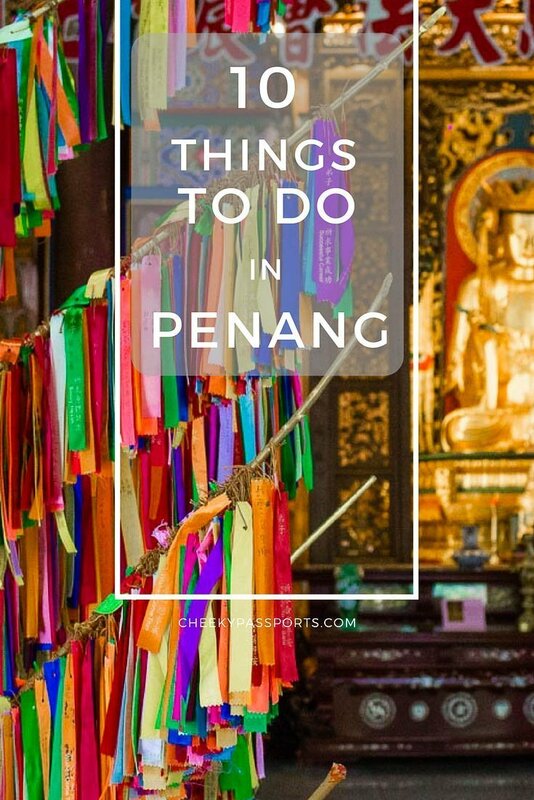 Be sure to put this on your list of things to do in Penang! The Jetties are literally water communities, home to Chinese clans who live in houses on stilts. The houses were originally built by immigrants and dock workers and, later, the wooden platforms surrounding the cluster of houses were upgraded with wooden planks to create walkways which are still in use today. The Chew Jetty is the most prominent one and many tourists make their way here at sunset when the colours dissolve into a soft hue onto the wooden houses, transmitting an almost magical feeling, making this one of the most interesting things to do in Penang. The bus from Cameron Highlands to Penang took around 5 hours and cost 31 RM (about € 6.20) each. 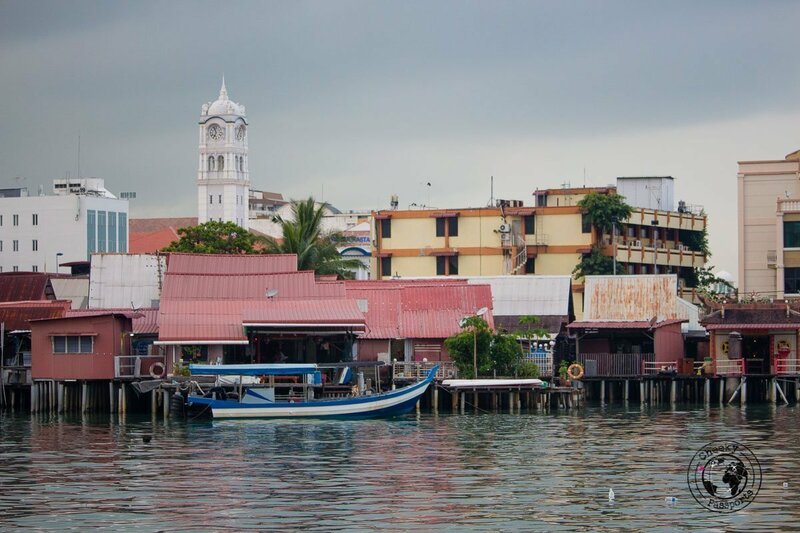 The bus we booked did not stop in Georgetown, but we were informed that we could either stop in Butterworth (where all the other tourists stopped) and catch the ferry to Georgetown, or be driven across the bridge to the Sungai Nibong Bus Terminal on Penang island itself. Considering our heavy backpacks, we figured that the latter option was the most convenient. From the terminal, we called an UBER car to our hotel in Georgetown for RM 13 (about € 2.60). 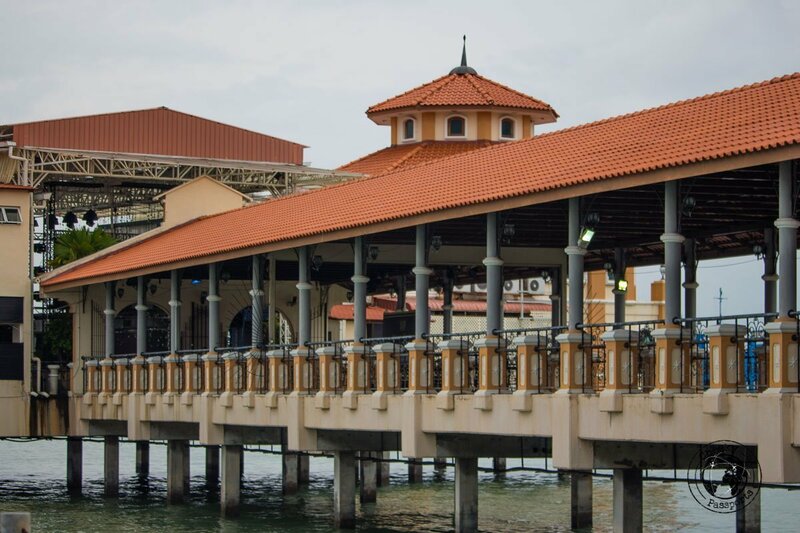 Buses for traveling from Georgetown centre to the rest of the island are very cheap and convenient. Tickets typically cost a few Ringgits and the buses are very comfortable. The closest station to our hotel was Komtar bus station which most buses pass through after leaving from Weld Quay Bus Terminal. The station is divided into 5 lanes with each lane being specific to a particular group of routes. Boards indicating bus numbers and showing the respective routes are conveniently placed so that you know which lane to wait in. The CAT free shuttle bus runs around Georgetown in a loop and stops at Komtar. It is very handy if you don’t feel like walking around the city although we did feel that taking the pedestrian route was the best way to experience Georgetown! Mingood Hotel – although the furniture at this hotel is slightly outdated, the rooms are large and the water pressure is fantastic! Wifi (which is the most important amenity in our case) was also pretty good. Breakfast is very simple but sufficient and a kettle is provided in the room. The staff is friendly and knowledgeable about the area – one of the women who worked the breakfast shift even lent us an umbrella to use during our stay! We would happily use this hotel again if we had to return to Georgetown. You can check it’s availability here, or check the latest deals in Penang on Hostelworld, Booking.com or Agoda. There’s a reason why this place is always full – the food at this Nasi Kandar restaurant is simply fantastic! 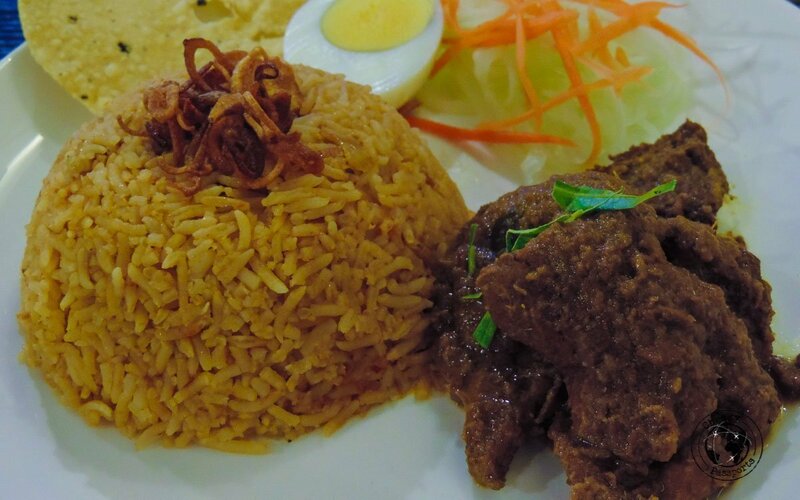 It was hands down our favourite budget restaurant in Georgetown and we regularly feasted on such delights as beef rendang, briyanis, murtabak and tandoori. 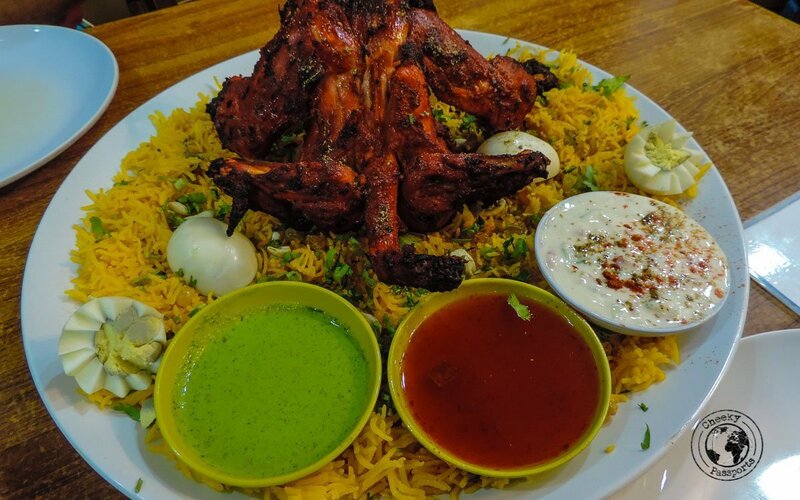 If you’re feeling really hungry, try the “Tandoori Set” which is literally a whole chicken cooked tandoori style on a massive platter of briyani rice topped with a few hardboiled eggs and complemented by a soup and a couple of other dishes. It can easily feed 4 people and at 60 RM (€ 12) is great value for money! We were even served with complimentary poppadoms because the waiters seemed to take a fancy to us. We dined here at least every other day! 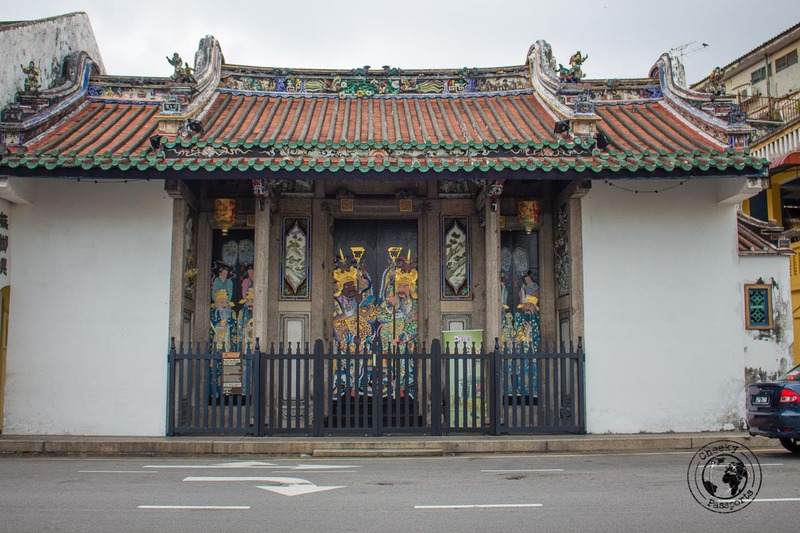 This tented hawker centre is home to 30 or so stalls offering a range of both local and international cuisine. This is where we had our first assam laksa, rojak and frog porridge (we advise you to refrain from ordering the porridge, trust us on this one) along with Vietnamese fresh spring rolls, dim sum and even spaghetti carbonara. Live music seems to be on every night. Although still casual, this Malaysian restaurant in Armenian Street is a little more upmarket than the other two and a little more expensive as well. Our meal here was well-worth the cost though! Service was great and the roti, rendang and lemuni rice were outstanding! The arabian sherbet is worth trying too (for the record I loved it, Nikki not so much). 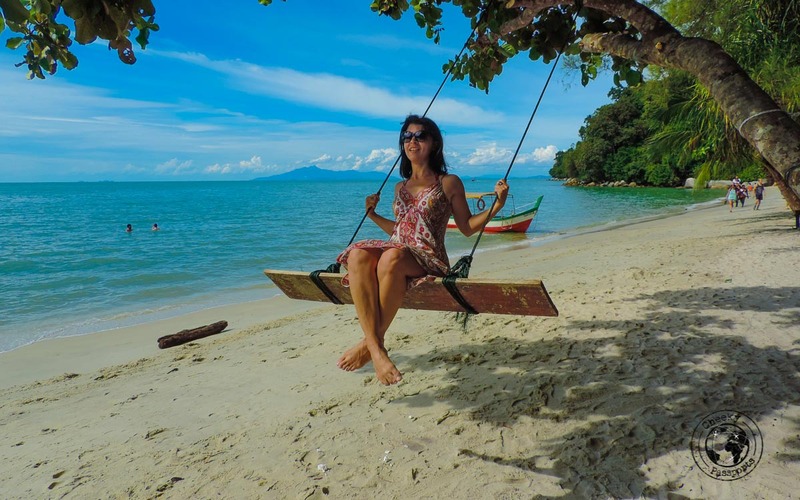 With all the things to do in Penang, the island is surely worth a few days visit and should be on any Malaysia itinerary!